The National Indian Students Union UK bestowed upon Indian singing sensation, Arijit Singh, its ‘Youth Icon – Music Award 2014’. 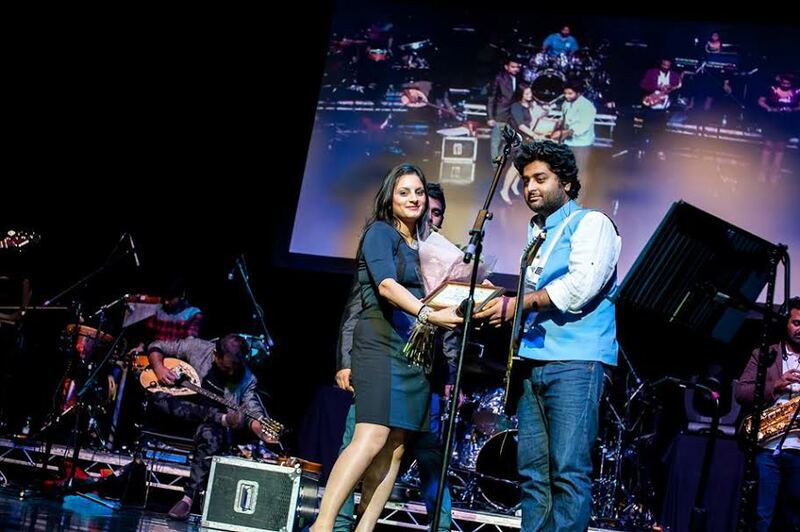 The pan-national representative body for Indian students, alumni and young professionals in the UK attended Mr Singh’s incredible concert at the London O2 to present him with this prestigious award – recognizing him as one of the leading icons for the Indian youth, both at home and abroad today. “Arijit’s incredible journey to success in such a short space of time, a result of his utmost dedication and passion for his craft are extremely inspiring for the youth. By honouring him and celebrating his work with our peer group, we hope to empower youngsters with the motivation to realize their dreams,” commented Sanam Arora, President, NISU UK. Mr. Singh thanked the National Indian Students Union UK for the honour, commenting that he was humbled at the honour being bestowed upon him. The National Indian Students Union UK works towards bringing Indian youth together and enhancing their educational, career and cultural experience in the UK, in hopes of creating a generation of Indians who will become the future leaders of India. Hence new-age artists and industry changing voices are hugely venerated by the organization. 16 queries in 1.136 seconds.